The much awaited smartphone from HTC, the HTC Radar is finally here – and yes, it is the first HTC Phone which comes pre loaded with Windows Phone Mango. 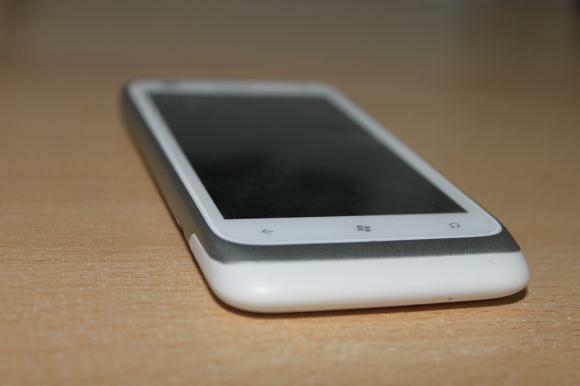 So here is a quick first hands-on impression of the HTC Radar. The HTC Radar comes in a very minimalistic packing of a pure white box – just like the phone and comes with the usual charger and the headphones – no beats audio on these headphones though. 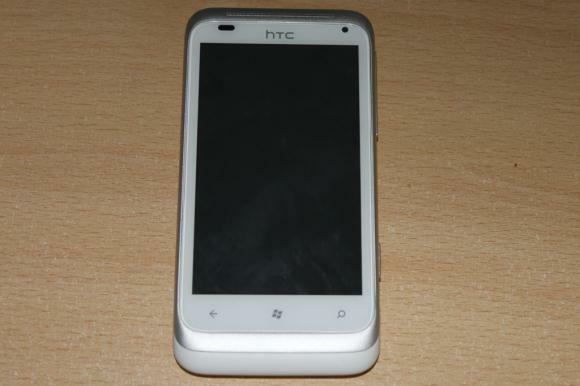 Now onto the looks of the phone – the HTC Radar comes only in white with a little silver matt finish plating on the back – it has a perfect unibody construction – and fine edges and a beautiful back – with a led flash, 5 megapixel camera and a speaker grill – since the Radar has a sealed battery the back cover too is very small – and only has a SIM slot in it – yes, the Radar does not have expandable memory. The front too looks great – with a 3’8″ inch S-LCD display and the 3 standard capacitive touch buttons – well noted in silver – and a speaker grill in chrome – do look pretty stunning! Besides that on the front there is a light sensor on the left and a secondary camera on the right. 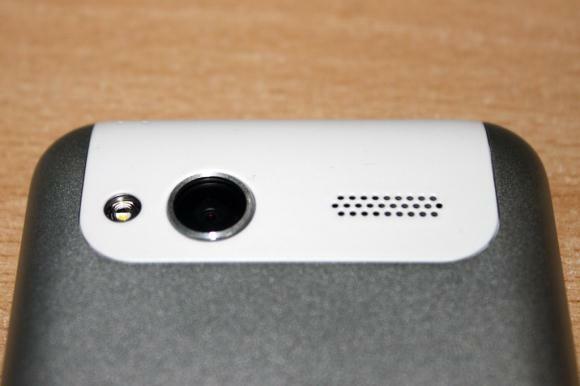 There is volume rocker and camera shutter on the side – along with a microUSB port and a 3.5mm jack at the top. 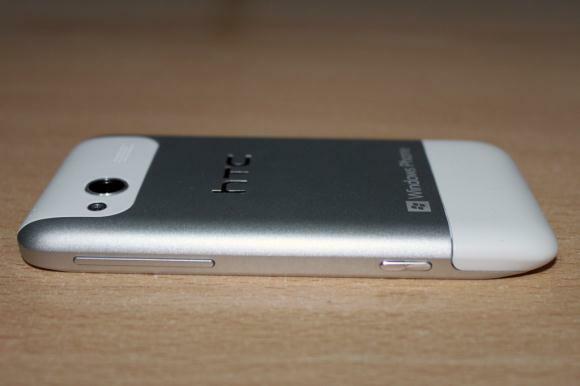 The Radar has a fantastic silver casing around it – so that adds to the unibody – white and silver feel of the phone. The phone feels very solid and comfortable in hand – and you will enjoy the grip it gives – not plasticy – and at the same time not bulky. 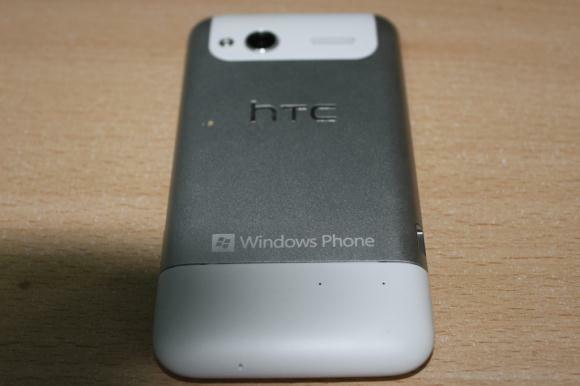 Overall full points to HTC for looks of the phone – though we could have done without the sealed battery. 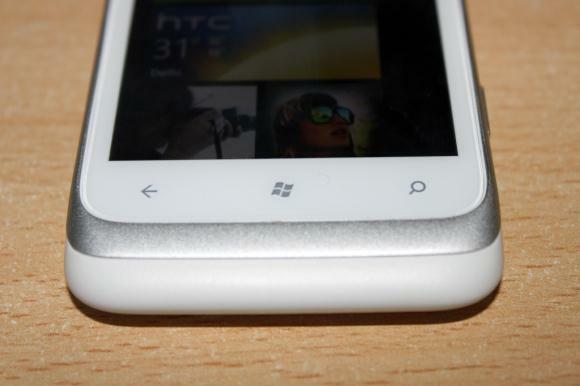 With a Qualcomm MSM8255 SoC, (that includes a 1GHz Scorpion CPU and Adreno 205 GPU), and 512 MB RAM – yes, that is no powerhouse – but then it did not disappoint in terms of speed – the Radar has fantastic boot up and shut down times – and the Windows Phone tiles are very fluid – and the touch is equally responsive – of course multi tasking won’t be the best with these specs – but that shall not bother the average user. However since the physical memory is limited to 8 GB with no expandable memory – that may bother a few users. Now onto the UI and basic software – since this is the first Mango device from HTC – we give full credits to HTC for a fantastic device – the fluidness of the UI was beyond expectation – there were no stalls when using the core UI and the live tiles. Emailing, texting and chatting is very easy and fun to do – typing on this is painless – however sometimes the system does get confused when we change the orientation from portrait to landscape – so takes a few seconds to adjust the keyboard. All sorts of document formats can be viewed and edited flawlessly using Microsoft’s Office app. If you are a social networking buff – this phone is certainly built for you – it comes with a tile dedicated to social networking where all your social networking accounts and their notifications can be handled at one place from Twitter to Facebook, to even LinkedIn – the level of integration in regards to social networking is amazing on the HTC Radar. HTC Radar also comes with HTC Hub – which is the HTC Sense look-a-like for Windows platform – it has a fancy clock, and amazing weather animations – along with stocks and news tabs – amazing visuals – and a useful app. However – on using some of the everyday apps – like Facebook and Twitter – we did face some stalls, and even unresponsiveness – the Marketplace does not have enough apps at the moment for us to test anything in depth – but everyday apps like Facebook, Twitter, GTalk – are available and are usable – though they need to be worked on better. We did try some of the games – and most of them worked fine – and game play was smooth – and graphics were great for the gives hardware. For sure Microsoft needs to work to get more developers to make apps for windows phone as there are just not enough quality apps in the marketplace – and the ones which are there do need loads of refining. However the marketplace itself is great and easy to use. Now on to the other important aspects – call quality on this phone was simply great, the voice of the caller was loud and clear – and the dialler and phonebook itself is user friendly. The camera was okay to say the least – mostly picture were sharp and well focussed but some of them lacked colour and vibrance – also the resolution of 5 megapixels is a bit disappointing. The media playback was smooth – and Microsoft has done a good job integrating audio and video into the same player – and gives it a touch of Zune. Onto one of the most important aspects when buying a phone – battery life – this phone exceeded our expectation by quiet a margin – with moderate browsing, media playback, emailing and clicking lots of pictures and video – along with a few calls we got around 20 hours of battery life – which is amazing – but note this was on EDGE/GPRS not 3G. To test the phone we played videos in loop non-stop and a full charge lasted us around 7 hours of playback – which again is pretty impressive. Now to round-up, despite its smaller screen, slower CPU and low-resolution camera we must say we’re quite smitten by what this phone has to offer. Now if you don’t want more than 8GB memory and can live with limited apps availability Radar is the perfect phone for you – it is very easy to use – fluid and looks amazing. 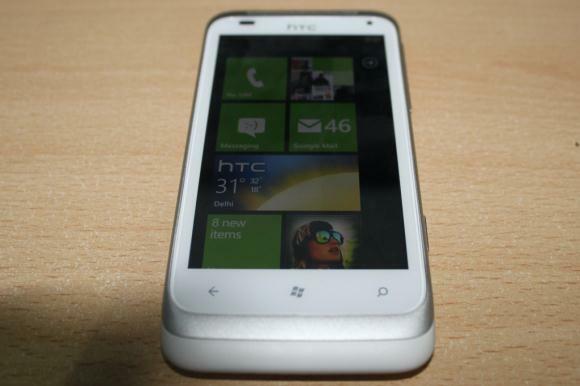 It is priced around 23,000 INR (approx) and is a good buy for a mid level Windows Phone smartphone – emailing, messaging is simple – browsing is a breeze, it is suitable for social networking and basic photography – HTC has backed it with good battery life. We would have loved to see a faster CPU, more memory and a higher resolution camera – but all that is difficult at this price. However, for the same price you have better handsets available with Android platform.